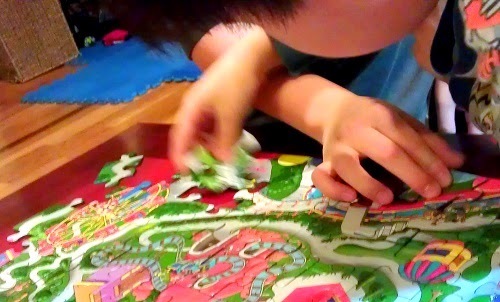 Toys As Tools Educational Toy Reviews: Ravensburger Puzzles Pt. 2: How to Be" You" When You're in an "Us"
I am reposting this very early review of Ravensburger puzzles because I don't think I've given enough attention to jigsaw puzzles. Some people are huge fans and some people stop buying them after preschool. 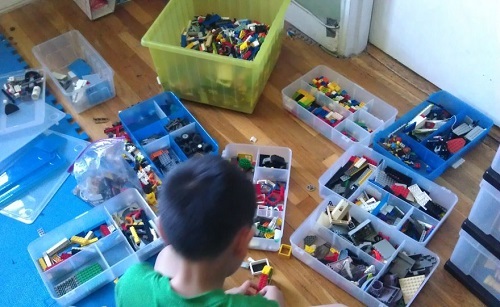 But I look back to when my friend Melanie commented about how she hoped that strategies she taught her son for solving puzzles, might become skills to carry over when he faces more challenging tasks later in life. She must have known all along that puzzles offer this function but I certainly didn't. Even more surprising were the results of a study from the University of Bath in the UK. Did you know that how you solve puzzles when in a group setting says something about you and your skills? My own puzzle. Kinda dorky, I know... Since I made this one, I've found better blank puzzles. To be sure, I still stick to my original statement: there is something really helpful about having a clearly defined goal when it comes to puzzle-solving that can really ease a social situation. However, if the puzzle is hard and there is more than one player, I need to concede that the task may actually not be that easy. However, with practice, completing such tasks with others can be a real growth experience for kids and grown-ups alike. What Kind of Puzzle Solver Are You? 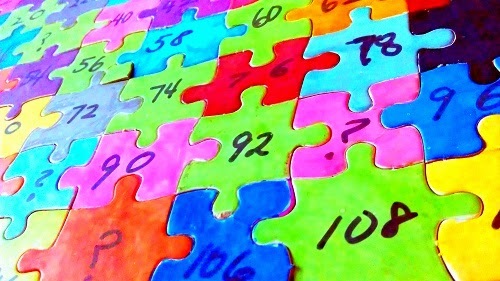 For the study, participants were asked to solve a 120-piece puzzle together either alone or in a group. Their activity was videotaped. Their behaviors were categorized afterwards. Which traits do you see in yourself and your child? It was reported that most people exhibited more than one trait. 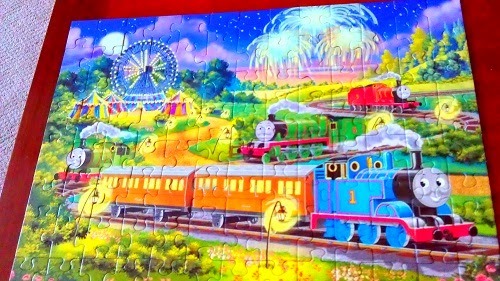 This Thomas the Tank Engine Glow in the Dark Puzzle seems to be quite the collectible now. I bought it for 10-20 dollars but now it is selling for $68. If you buy a Ravensburger puzzle that is a licensed figure, keep it!!! And make sure you don't lose the pieces! Some solvers were found to hoard pieces and even hide them from the rest of the players. Some were actually hiding the part of the picture from others. Parallel puzzle play with me sitting in the room and yet doing my own thing is such a satisfying and quiet way to spend some extra time before bed. Also, the Highlights Amusement Park Maze puzzle was one example of how you should NOT border- obsess. (at least for me). These solvers were a lot more creative in their strategies. They solved the puzzles by using more complex criteria and varied methods. Does This Happen At the Office? 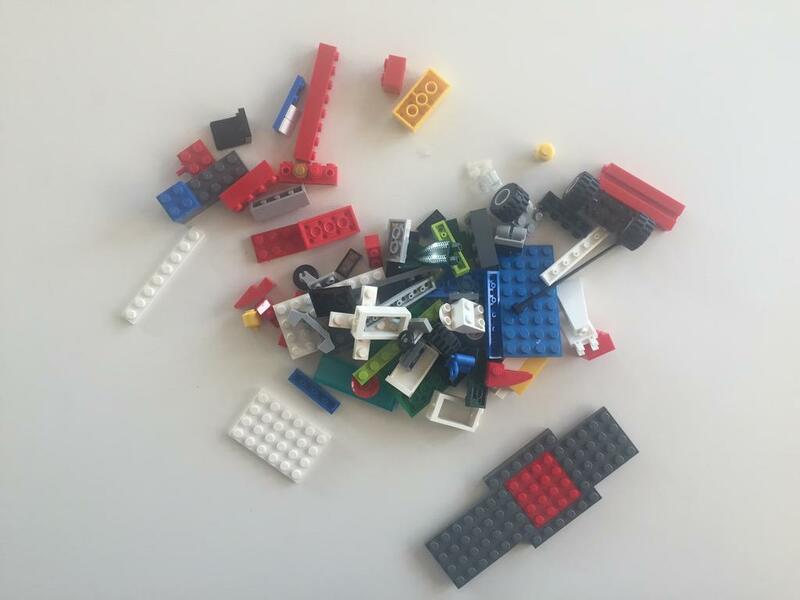 It's not surprising that the researchers also found that the strategies that people used to construct a jigsaw on their own could alter dramatically depending on their leadership skills and force of personality when they had to work with others. Furthermore, if they met with someone with a very contrasting style, trouble ensued. While I know that giving them a puzzle will not make them masters of the universe, as Mel said, the hope is they will carry over their skills. Being able to navigate the social world while still being who you are and showing everyone what you've got has and will always be one of life's greatest challenges. This was #2's FAVORITE puzzle for the longest time. We finally gave this away. It was hard to do. An excellent guidebook for this endeavor is John Elder Robison's book - Be Different: Adventures of a Free-Range Aspergian with Practical Advice for Aspergians, Misfits, Families, & Teachers I think any parent can benefit from reading this book. I grew up being told that it doesn't matter what others think and that you have to be who you are. That was so totally 80s-afterschool-special-propaganda. I like John Elder Robison's more practical approach because I do care what others think -not just as a writer of this toy review site but also as member of my community. However, it is equally important to me to show my kids that it is possible to be yourself while still caring and reacting to how others think about you. It's a harder lesson to teach but at least reality is on my side. Here are some of my links to some cool puzzles. Shopping from them will support Toys Are Tools! never heard of that book, but it sounds great - and love the desrciptions of the solver types... I can put names to types in our household! The picture of the puzzle at the top (the one that came in the email) actually gave me a great idea for a puzzle. The picture looked as though there was no border (probably just me) and somehow it looked like the element was repeated. 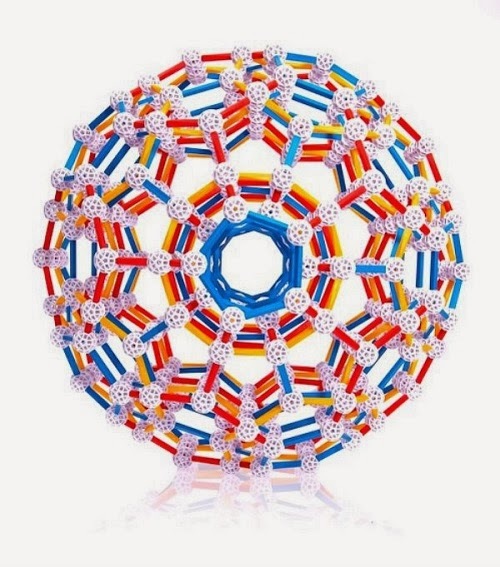 How cool would it be for there to be a puzzle with no border and that can be fully made in numerous way (the design could potentially repeat and be made in different directions). I see it as almost an M.C. Escher print or in a Richard Scarry busy picture. I love the ravensberg puzzles as well.